How do I uninstall Snagit from my computer? If you plan on reinstalling Snagit, create a back up of your Snagit Library using the steps described in this support article. Exit Snagit and Snagit Editor. Open the Control Panel. For help locating the Control Panel, see this Microsoft support article. 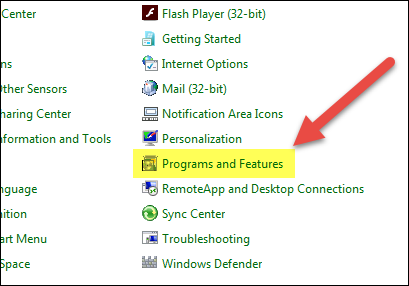 If you do not see the Programs and Features category, locate the Uninstall a program option under Programs. 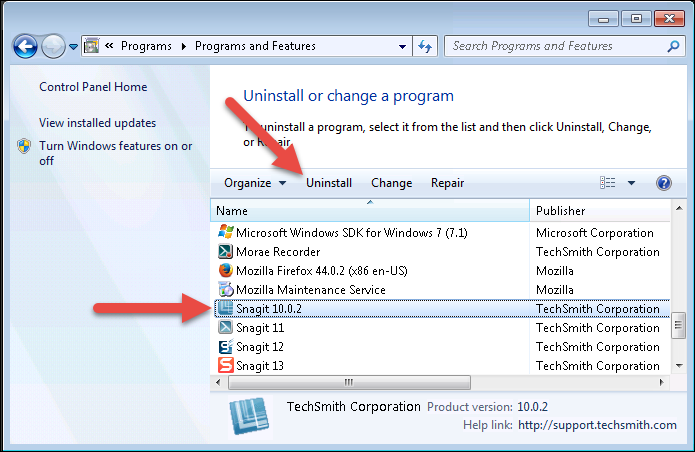 Select the version of Snagit to uninstall. 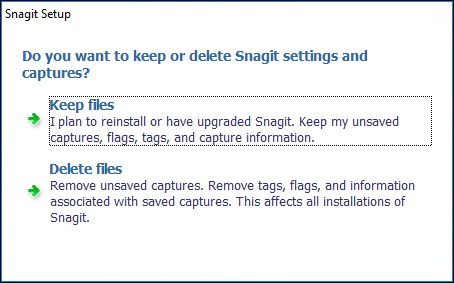 Choose to Keep files or Delete files from your Snagit Library. If you select the Delete files option, the Snagit Library files are permanently deleted. You cannot recover these files.